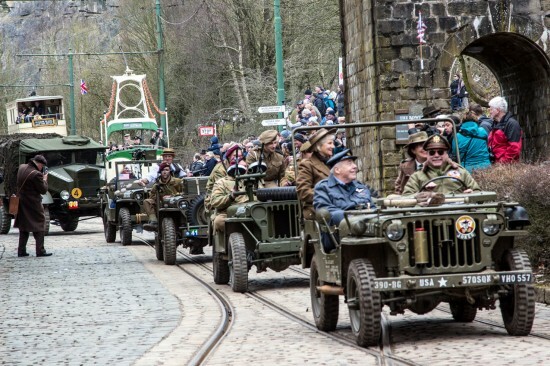 As we reported yesterday the World War II Home Front event which was due to take place at Crich on Easter Sunday and Easter Monday was cancelled on the second day after the unwelcome arrival of yet more snow. 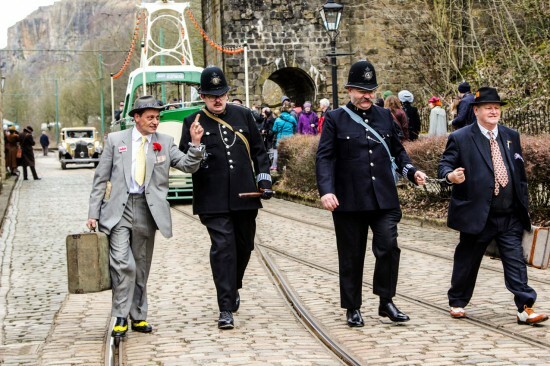 Despite the best efforts of volunteers at the museum it wasn’t even possible to run a tram service at Crich on Easter Monday – the first Easter that trams haven’t run there for 60 years! 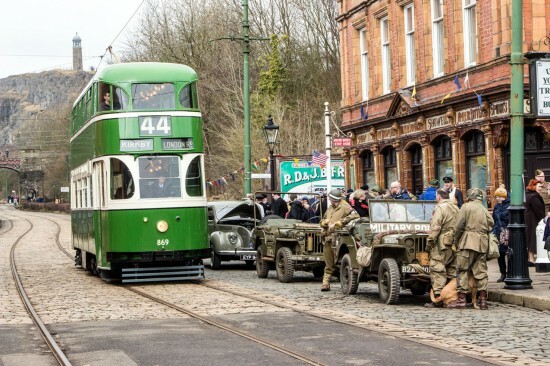 Although it was only an one day event there was still plenty for visitors to see and do on Easter Sunday 1st April 2018. A tram which was used for the first in 2018 was Blackpool Boat 236 which, despite the continued cold weather, proved to be a popular choice with visitors. 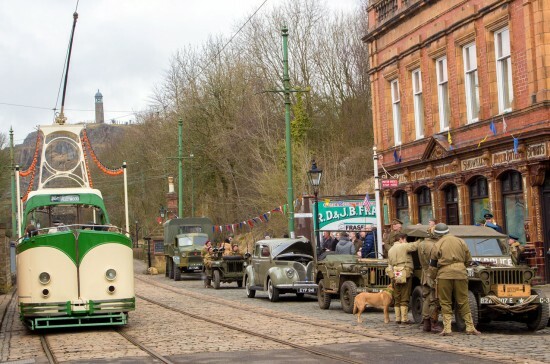 In this view the tram is seen passing The Red Lion and various visiting period vehicles. Liverpool 869 also made its year debut and is seen here passing military vehicles and re-enactors. Blackpool 236 and Blackpool 40 get caught up amongst more military vehicles.